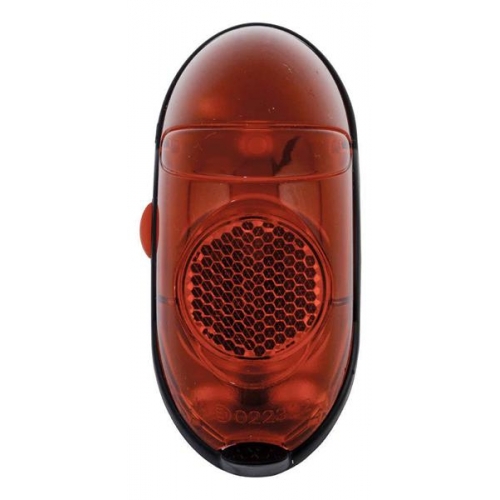 The AXA retro is an alternative to the Spanninga SPX rear light. Press the button to switch on, press again to switch back off. The manufacturer claims 70 hours of operation from a pair of AAA cells and there's an indicator which lights to tell you when the batteries are close to needing replacement.